Today we are at a point in the letter to the Galatians, Paul could be at a loss for words. Instead of keeping silent, Paul begins to prove why the message he gave to the Galatians is the right message and why/how he is commissioned to carry out this work. Today we pick up Paul’s letter in Galatians 1:13-24. 13 You heard about my previous life in Judaism, how severely I harassed God’s church and tried to destroy it. 14 I advanced in Judaism beyond many of my peers, because I was much more militant about the traditions of my ancestors.15 But God had set me apart from birth and called me through his grace. He was pleased 16 to reveal his Son to me, so that I might preach about him to the Gentiles. I didn’t immediately consult with any human being. 17 I didn’t go up to Jerusalem to see the men who were apostles before me either, but I went away into Arabia and I returned again to Damascus. 18 Then after three years I went up to Jerusalem to visit Cephas and stayed with him fifteen days. 19 But I didn’t see any other of the apostles except James the brother of the Lord. 20 Before God, I’m not lying about the things that I’m writing to you! 21 Then I went into the regions of Syria and Cilicia, 22 but I wasn’t known personally by the Christian churches in Judea. 23 They only heard a report about me: “The man who used to harass us now preaches the faith that he once tried to destroy.”24 So they were glorifying God because of me. Before we continue, I have a question for us to answer. How do you respond to those people who try to discredit you? If we are honest, we would say that we get flustered and angry. Then we go about trying to prove the people wrong; or worse, try and get revenge on them to discredit them. We see this all the time, especially when people are going for some kind of position no matter the level. We need to remember that our past does not define us. It does show us, and others, who we were before our conversion to Christ (or even at points after our conversion – we are human after all). We can show people this is how we used to live and then compare it to how our lives are now. Christ has redeemed us from our sins and our past and we are made new in his image. Then, Paul goes on to say something interesting in verses 15 & 16. Read the verses again. But God had set me apart from birth and called me through his grace. He was pleased 16 to reveal his Son to me, so that I might preach about him to the Gentiles. Paul’s life was able to be transformed and God was able to use his past to be a preacher to the Gentiles (non-Jewish people). It always amazes me how God works. Paul was set apart from birth. You were set apart from birth. Do you think you don’t have the credentials, the experience? What do you “think” you’re lacking to live the life you know God wants you to live? 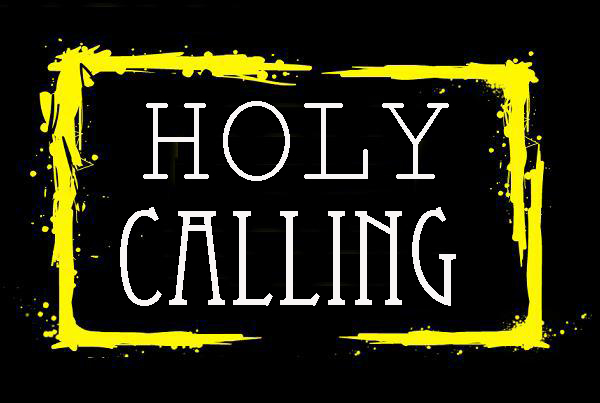 God has called you and somehow provides to make his calling be fruitful. The best part is that we do not need a lot of material items, because God calls us to be his witness (be his preacher) to those around us first (like our family, friends, co-workers, neighbors, etc). Then we go to the outer parts of the circle. That’s what Paul did. What a testimony! We are now FREE from our past. We are now FREE to live into the life God has called us to live. The life set apart for us from our birth. Tomorrow, we begin chapter 2.